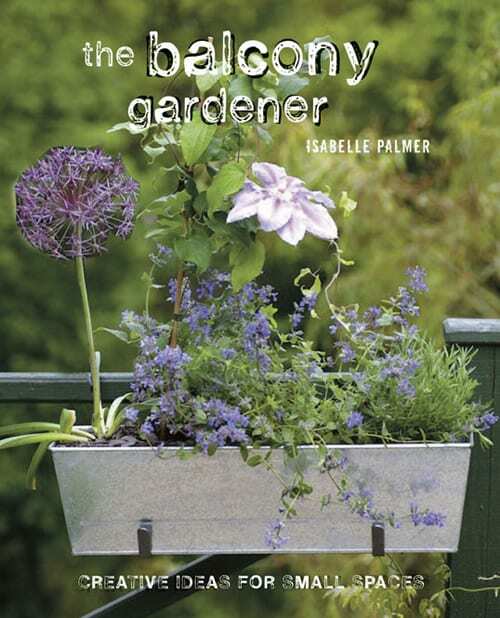 I was delighted to recently receive a review copy of ‘The Balcony Gardener‘, a new book by Isabelle Palmer. If you live in a city and have very little outside space, then this is definitely the book for you. 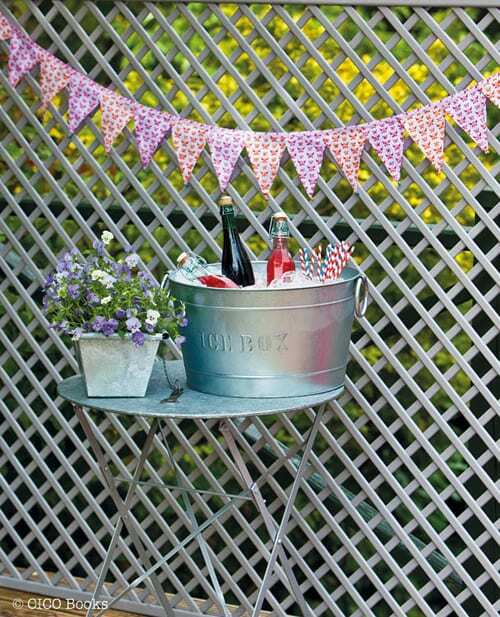 It’s brimming full of ideas and projects of how to add some colour to your balcony, patio, roof terrace or window sill. Broken down into five main chapters, it takes you from a section on The Basics, to Urban Spaces, Creative Recycling and All Things Edible to Enjoying Your Balcony. Plus there’s a handy journal, plant list and glossary. If you’re a novice gardener, the first section on The Basics is a must-read. It covers essential kit that you’ll need, how to choose and plant up your containers, plus how to care for your plants. And there’s a great section on choosing your colour scheme, whether you’re looking for a vibrant, ethereal, mysterious or seductive mood. 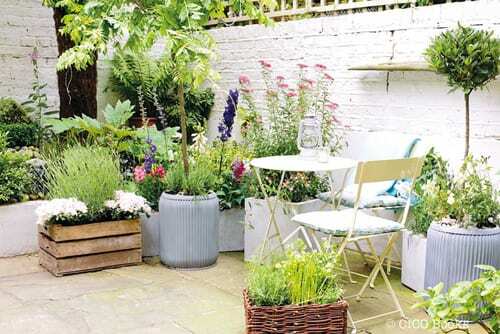 Urban Spaces covers how to design an outdoor room in which you can sit and relax, including sections on screening plants, window boxes and water gardens. There are instructions on how to put together a fragrant window box filled with flowers such as gardenias, lavender or jasmine. 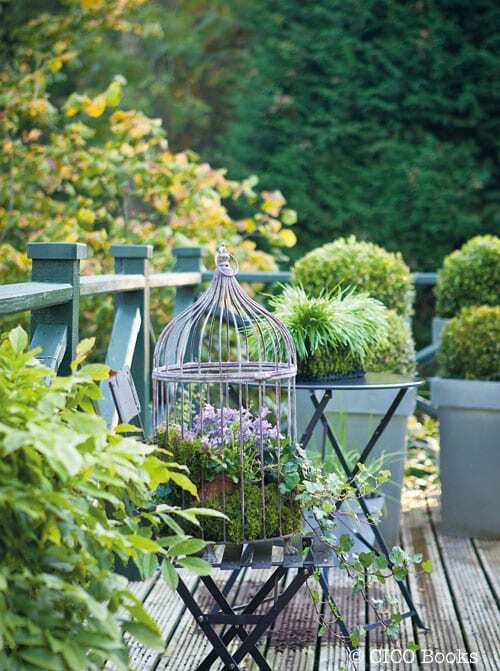 Plus how to create a country garden feel…in an urban environment. In the Creative Recycling chapter, you’ll find ideas on how to use wooden wine crates and bird cages to display your plants. Growing your own fruit and vegetables is becoming very popular and the section on All Things Edible covers growing your own produce. 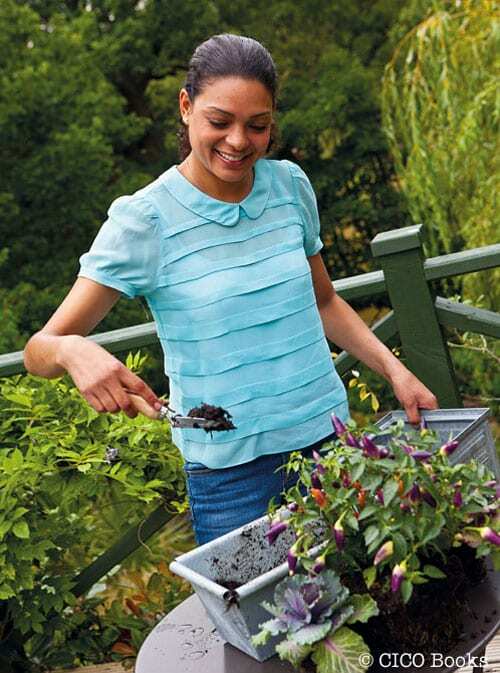 There are instructions on how to put together window boxes full of herbs which complement chicken or fish. Plus how to grow salad leaves, tomatoes, potatoes and strawberries. Then it just leaves the Enjoying Your Balcony chapter where it’s time for you to sit back and enjoy your outside space. Preparing for parties, outdoor furniture and lighting are all covered. As for a little bit of background about Isabelle, she is the founder of an online company of the same name as the book, The Balcony Gardener. The company specialises in product ranges for small urban outdoor spaces – balconies, roof terraces and patios. And this is her first book. 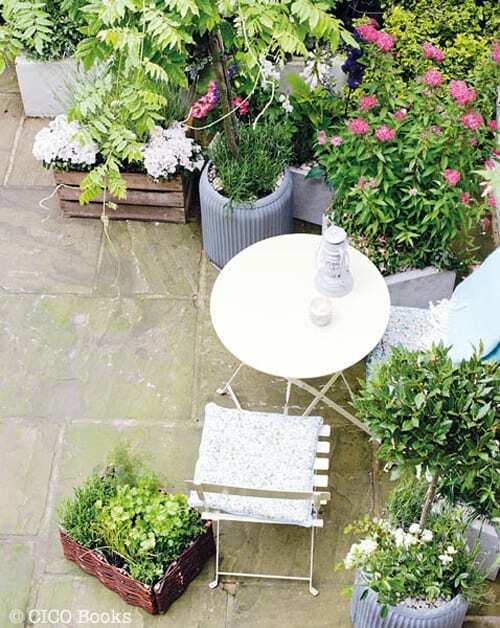 So, although the weather in the UK isn’t perhaps exactly ideal at the moment for sitting outside and enjoying your outside space…with Isabelle’s book, you could start planning and planting up containers to add colour when the summer finally arrives. If you’d like to keep up-to-date with Isabelle’s news, she’s on Twitter. Plus The Balcony Gardener is on Facebook and has a blog. P.S. The Balcony Gardener is collaborating with Anthropologie‘s Kings Road store to produce a special installation to celebrate and coincide with the RHS Chelsea Flower Show this month. Hi Rona, Thank you for this wonderful review! I love her approach to container gardening – very inspiring. Coincidentally, I may be meeting up with Isabelle at the end of the month!